Approached by Persimmon Homes to carry out a feasibility study as to the viability of building the final phase of their Griffin Wharf development. 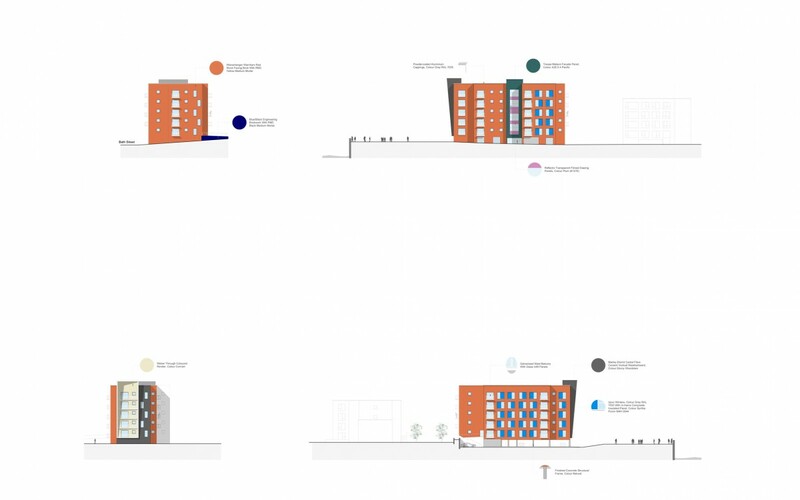 However, the original scheme was for 190+ flats in blocks of up to 9 floors high – this was considered financially unviable due to the requirement for a structural concrete frame. 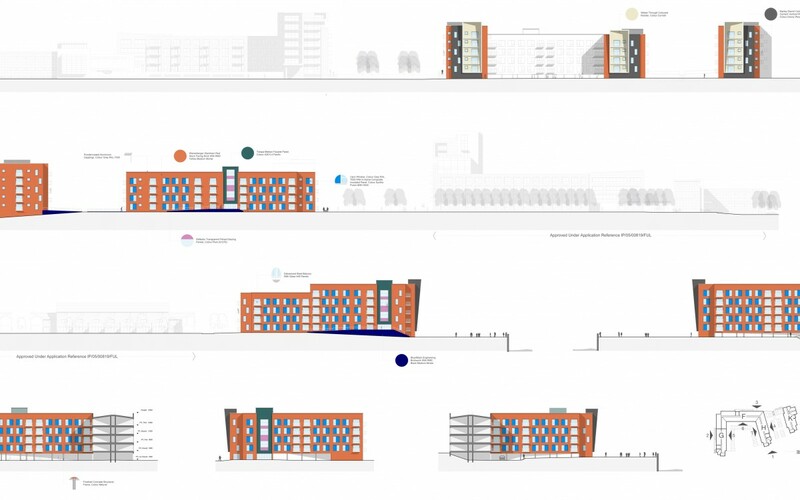 We re-planned the whole scheme to reduce the height to 5 floors, ending up with 132 units. The internal layout was re-designed whilst maintaining the design ethos in elevation. 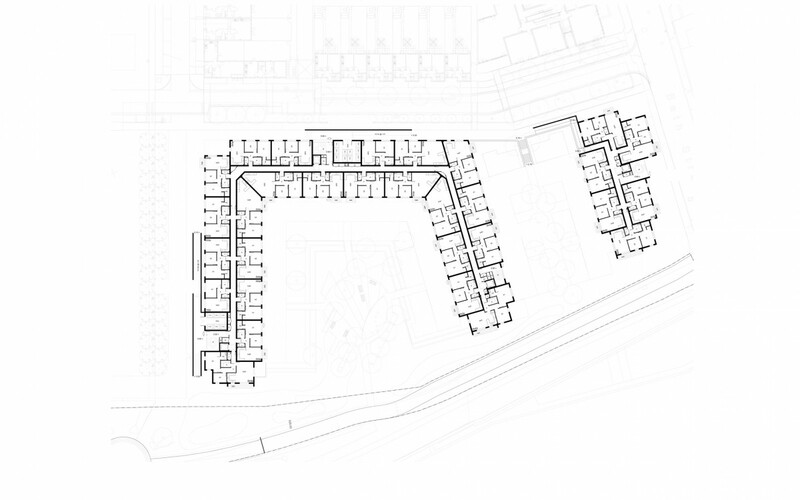 The scheme was agreed with Persimmon Homes and we entered into a planning pre-application with IBC, the negotiations culminated in an application for minor amendments and was approved on 23/12/2011. We were then asked to negotiate, alongside Gill Associates and Richard Jackson Partnership, tenders to build out the scheme. Several local contractors were interviewed and a budget tender package produced to test whether the scheme had become viable. The conclusion, after a protracted tender negotiation period was that the scheme was marginal. Unfortunately, in the economic climate at the time, it was considered too much of a financial risk to commit to building and the project was again shelved.